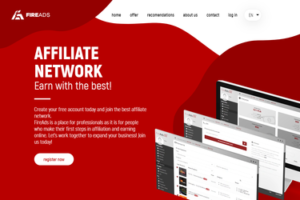 If you’ve recently decided that you want to get into affiliate marketing, you’ll soon have to determine how you’re going to attract users to what it is you’re promoting. This will become your traffic source. Understanding and then choosing which traffic sources to use to promote CPA (cost-per-action) offers can be overwhelming. 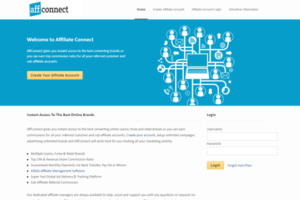 There’s more ways than ever for affiliates to acquire traffic, and it’d be both impossible and non-nonsensical to try them all. We’re going to make the process of learning about the different traffic types a little less daunting, so that when you eventually decide which one to use, you’re doing so confidently. When we say one, we do mean one. 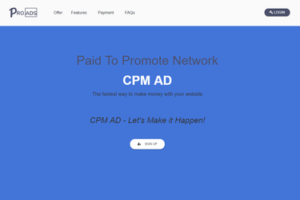 If your goal is to soon start promoting your first offer as an affiliate at CPAHALL, we highly suggest that you choose just ONE traffic source after you’ve read through this guide and have completed any additional research. Focusing on only one will ensure you’ll begin learning immediately. You may struggle at first, but you’ll soon start developing your knowledge on what works and what doesn’t with that particular traffic source. Trying to manage more than one at once will hinder that learning process immensely. Below, we’re going to go into more detail on each one, but let’s first talk about some factors that may impact your decision. Some traffic sources are going to cost more than others. Determining how much you’re willing to spend will eliminate traffic sources that require larger budgets. Keep in mind that although there are ways to acquire traffic for free, it can require even more time and work than acquiring paid traffic. If you don’t already own a website, blog, or social media page/YouTube channel with a substantial following, you likely won’t be able to use a free traffic source. If you’ve never ran an offer before in your life and have no pre-existing free traffic source at your disposal, you’ll need to pay for traffic. You also may be hesitant dropping thousands of dollars on traffic so quickly into your online career – and for good reason. Stick to sources that will allow you to start out with smaller budgets, such as search and social, until you become more comfortable promoting offers and allocating more funds to your initiatives. Your own developed skills can play a role in which traffic types you can use to promote offers. Possessing writing, design/photoshop, HTML/coding, or social media marketing skills can be useful for optimizing certain traffic sources. For instance, you can create your own pre-sell landing pages which will allow you to test different sales angles. These operate as a bridge between your traffic source/ad and the offer you’re promoting. Every offer at MaxBounty has a different set of permitted traffic sources. Therefore, the types of offers you decide to promote or the niche they’re in can influence your traffic source preferences. Now we’re going to get into each specific traffic type. We’re also going to let you know which types of offers tend to convert well within these types. Display traffic is what comes to mind for most people when they think of online advertising. This traffic type is simply the process of placing advertisements on websites to attract clicks and leads. If you own a blog or website that garners substantial user traffic, you can monetize it by populating it with banner or in-text ads. This is a form of display traffic. The ads themselves can be of various sizes so that they’ll work aesthetically on multiple places around any site – 300×250, 728×90, and 160×600 are the three most common banner sizes. Shorter, wider banners are usually found at the top, bottom, or in-between content, while taller and narrower banners populate side panels. If you’re a CpaHall affiliate, you’ll notice that most of our offers already feature pre-made banners that you can use in your promotion. However, for display ads to be effective at generating conversions, the content of the website/blog and the products/services being advertised must be relevant. Don’t expect to generate many leads if you’re advertising a skincare product on a fantasy football site. There needs to be a connection between the two audiences. If you don’t have your own website or blog, you can still utilize this method to make money by purchasing display traffic on other sites – this is called media buying. With media buying, a display network places your ad on a website that already has significant traffic, eliminating the need for you to have your own. You’ll then pay for that space on either a CPM (cost-per-1000-impressions) or CPC (cost-per-click) model. Offers that payout on a completed sale, health and beauty campaigns, niche offers that directly relate to niche site/blogs. A PPV networks present users with the option of downloading a toolbar to their browser in exchange for digital rewards (games, special content, browser features, etc.). The user will then install the incentivized toolbars to their computer. Once the toolbar is installed, ads will be displayed to them in the form of pop-ups that advertise the offer that you’re promoting. When the user clicks on the ad, they’re directed to the offer’s landing page or a pre-sell landing page that you’ve created. The locations of the pop-ups are determined by either URL or keyword targets which you bid on against other advertisers. You need to present value to the user quickly if you’re promoting with PPV. Offers with short forms as well as travel and sweepstakes campaigns do this well. You’ve probably already noticed that whenever you Google something the search results are usually separated into two sections – ad and organic. The first few sites in the results with the ‘Ad’ label beside them are paying for that position – this is search traffic. Google’s AdWords platform allows for advertisers (an affiliate like yourself) to pay for their sites to be listed at the top of search results for specific keywords. This is accomplished by bidding on keywords through a PPC (pay-per-click) model, meaning you’ll pay Google a specific amount every time a user clicks on your ad. When you use AdWords to promote an offer, you’re ensuring you’re putting the product or service you’re promoting in front of the people who are searching for it or something closely related. Bing also has its own search traffic platform, Bing Ads, that’s just like Google AdWords. Obviously, Bing isn’t going to offer the same level of reach as Google, because there’s less people using Bing as their primary search engine. 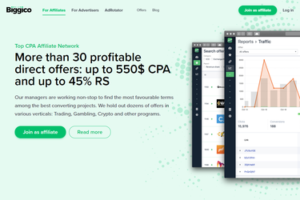 However, it’s more affordable than AdWords and has less restrictions, making it more affiliate friendly by allowing a broader selection of offers to be promoted on the platform. Search traffic can work for a wide array of niches, but many of our affiliates find success with diet and loan offers. 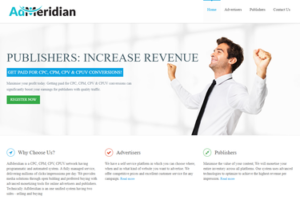 Native ads are an affiliate marketing traffic source that continue to grow in popularity. They’re also extremely effective at being a non-disruptive form of advertising. This means that users are more likely to engage with native ads over traditional display ads because they’re less likely to feel as if they’re online experience is being interrupted by actual advertising. It’s the online equivalent of using product placement in TV shows instead of commercials. You know when you’re on the edge of your seat about to find out who’s going to win the new season of *Insert Country Here* Idol (and subsequently never be heard of again) when suddenly a commercial break pulls you out of your immersed state? That’s basically what a banner ad does to someone reading an article on a website. Native ads are a sly way of resolving that issue. Have you ever noticed those “Recommended Articles” or “Sponsored Content” headings while you’re on a website? Those are native ads. To use native ads as a traffic source, you’ll have to sign-up to a native ad network to have your ads placed on various websites. Those ads then direct to the landing or sales page of the offer you’re promoting. We currently have partnerships with two native ad networks – MGID and Taboola. If you’re a CpaHall affiliate, you can be rewarded a 25% bonus on a $1000 deposit and a $100 bonus after spending $100, respectively, when using these networks. Keep in mind that using native ads will require you to compete with other affiliates/advertisers for site placement, and the larger the site/traffic, the more you can expect to have to bid. Native ads work best with offers that can be paired with powerful imagery and enticing copy to trigger an emotional response. (“Moms are obsessed with this new anti-aging cream!” “This 2019 gadget is rapidly changing lives!”) Finance, weight loss, and tech products work best with this approach. Social media platforms have massive userbases and therefore massive audiences, making them a common source of traffic for many affiliates. In addition to large audiences and the ability for anyone to purchase advertising, social media platforms offer advertisers expansive targeting options. This allows you to easily hone in on the people who are most likely to be attracted to what it is you’re promoting. Advanced targeting ensures that you’re not wasting time and money advertising something to an audience who wants nothing to do with that niche. Most of these platforms offer a multitude of ad targeting options for you to customize when you’re creating and launching an ad campaign. You can also decide whether to pay for clicks or impressions, which is something that will take some time and testing to determine the best approach. In addition to purchasing advertising, you can create and grow fan pages that can be used as your own marketing channel for promoting affiliate marketing campaigns. Perhaps as a hobby you’ve already built up a large follower base on an Instagram account or Facebook Page. You can monetize those pages by integrating links to MaxBounty offers with regularly-posted content. There’s many MaxBounty affiliates making money with this strategy, just remember to only promote offers that are going to catch the interest of the followers on your pages. If you operate a pet Instagram account where your followed by thousands of people who are waiting anxiously for you to post some cute dog pics, you should populate your bio or story with links to a pet-related offer like BarkBox, rather than trying to promote car loans. Recognizable and trusted brands and/or e-commerce, clothing, dating, games and tech gadgets. Mobile traffic is simply ads that are being delivered to users who are on mobile devices. The continual evolution of smartphone technology and the increase in time we spend staring at our pocket-sized screens has transformed mobile into one of the most lucrative traffic sources. The percentage of users who spend their time online on a mobile device rather than at a computer is increasing each year, and the affiliate marketing industry is responding with more mobile offers and traffic sources. There are numerous mobile traffic sources that allow you to utilize some of the traffic types we’ve talked about above, the only difference is the traffic is shifted off of desktop and onto mobile. For example, you can sign up to a mobile traffic platform and advertise the offer you’re promoting through display/banner ads or pop-up/under ads. Alternatively, push notifications are a mobile-exclusive way of acquiring traffic. Check out AirPush.com if you’re looking for a mobile ad network that offers some great targeting options. E-mail traffic involves collecting e-mail addresses to create your own audience for the purpose of promoting offers. If you already own a website or a blog, the process of capturing e-mails can be as simple as prompting your visitors to sign-up to your newsletter. Once your list has grown to a substantial size, you can send them tailor-made e-mails that feature offers relating to the niche that brought them to your site in the first place. You can still utilize e-mail as a traffic source even if you don’t have an established website of your own. This can be accomplished by using a squeeze page (a landing page that asks for a user’s e-mail) when promoting with other traffic types, or purchasing e-mail lists from 3rd party traffic sources. However, The quality of the traffic you’ll obtain from these lists can be erratic. Loan, debt relief, e-commerce, education, and biz-opp offers work best with e-mail traffic. Incentive traffic is when you offer users something in return for generating a conversion on the campaign you’re promoting. You’re providing them an incentive for completing an action, hence the name. The incentive itself usually come in the form of digital rewards, points, coupons, or virtual currency. Sometimes the incentive can also be the ability to access additional content such as an e-book or other downloadable files (content-locking). The number of advertisers and offers that allow incentive traffic is fewer than other traffic sources, which means it’s not an ideal traffic source for many beginner-level affiliates. If you’re a beginner-level affiliate, choosing one traffic source to promote offers with is more important than understanding and mastering a half-dozen. We recommend that you combine the information you’ve learned from this guide with any additional research to help you choose a single traffic source. You can spend hours, days, and weeks educating yourself on ways to acquire traffic, what networks to work with, and what offers are available, but at the end of the day, what you’ll learn from that research will never compare to what you can learn from actually promoting offers. Make some decisions and go for it.